Vessels powered by vapors – an inventive idea which became reality during the early 20th century. 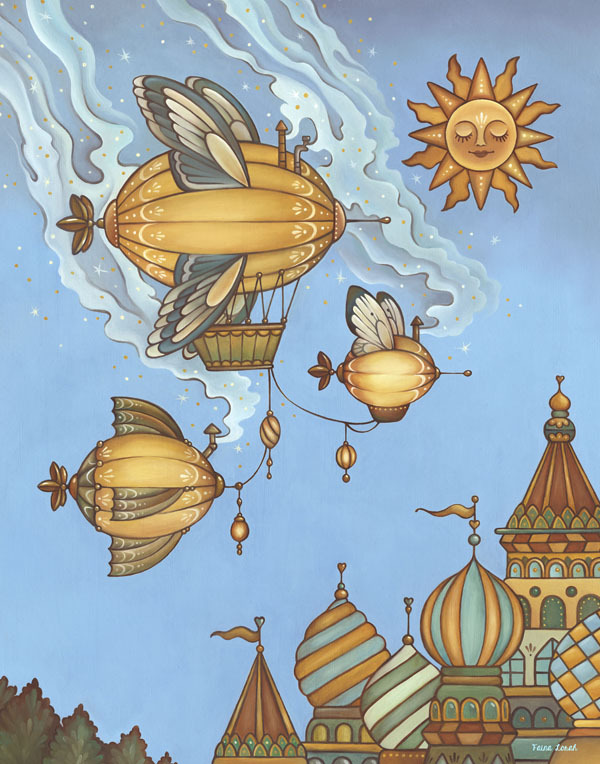 Airships were different from hot-air balloons because they were powered and steerable. The modern airplanes we know today were still in their beginning stages, and blimps became a preferred way of travel. With the use of Zeppelins, Germans achieved some success with long range bombing and spying during the First World War. 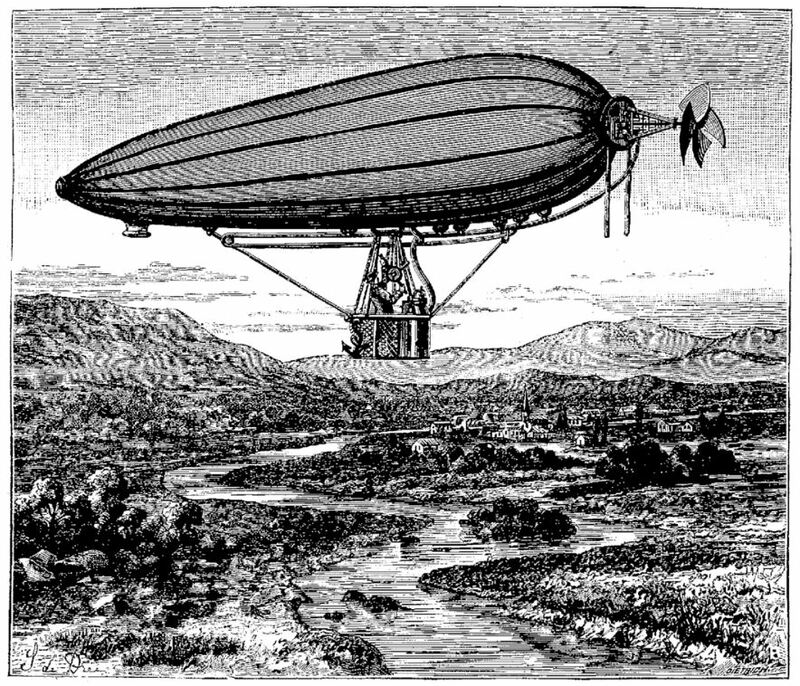 People wanted to use airships for long distance travel, exploration, and transportation of goods. Unfortunately, the whole idea of zeppelins crashed and burned – literally. Airplanes became the common form of air travel. However, there are still some diehards out there waiting for the airship to make a comeback. Blimps defined the ingenuity and creativity of their time. They were greater than life in so many ways. They were not only seen as utilitarian, but as something wondrous to observe. People would gather in the streets to watch a majestic zeppelin float by in the sky. One if by Air invites you to imagine that you were one of those observers on the street, looking up to see a zeppelin for the first time. On the verge of the American Revolutionary War, patriots set up a light signal in case British troops started to advance. One lantern meant that British troops chose the land route, and two lanterns meant that they were advancing by water. 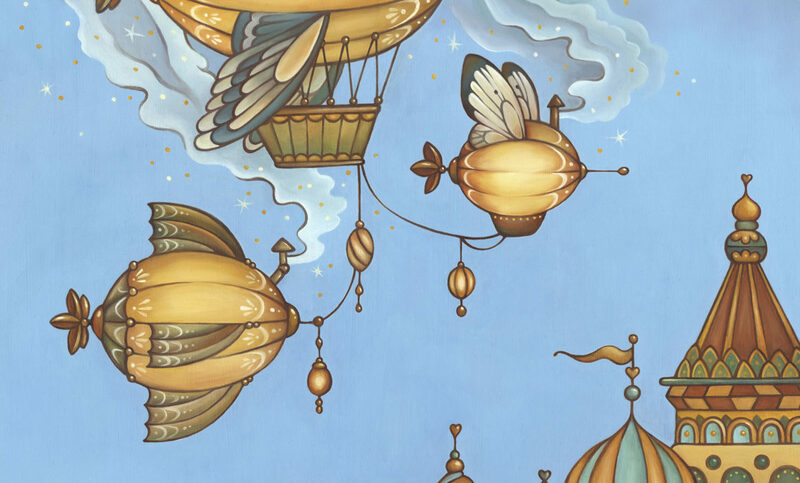 One if by Air plays with that concept, imagining that the warning signal was set up for an airship invasion. 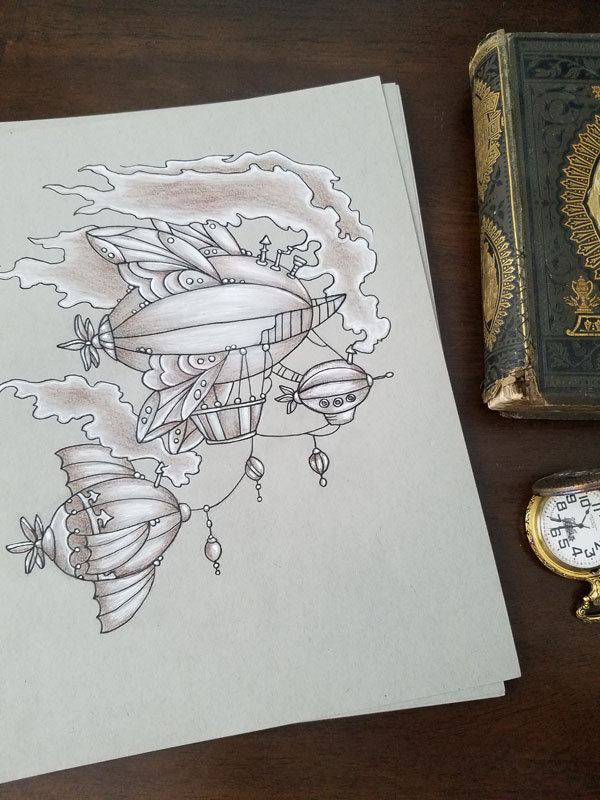 What would people do if they had never seen airships before, and the vessels were steadily invading their city? How would you react in that situation?